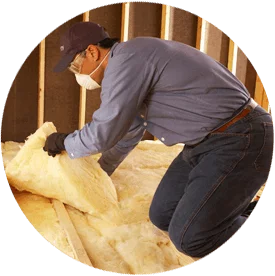 Are you looking for insulation installers serving Green Bay, WI? Alpine Insulation offers what you need! Our professionals work with both builders and homeowners to help maximize the energy efficiency and comfort of homes and buildings throughout the area. Request a quote today by filling out the form to the right or giving us a call at (866) 261-1090! Alpine Insulation works with many local builders, contractors and remodelers on new home construction and addition projects throughout Green Bay. The insulation we install helps ensure new homes being built are as energy-efficient as possible for future homeowners. Are your energy bills higher than normal? You may need to insulate. We have found that insulation is one of the best ways to increase the energy efficiency and comfort of homes all year long. Alpine Insulation can insulate your attic, walls and crawl space to help you save money and live more comfortably. As part of the Installed Building Products family of companies, Alpine Insulation offers the resources and expertise few companies in the local companies can match. Whether you’re a homeowner who needs to re-insulate or a builder looking to install gypsum flooring and spray foam in a new commercial space, we’re looking forward to working with you! Call (866) 261-1090 or contact us online today to start your next insulation project!